It looks certain that GE is going to divest itself of Predix soon. This presents an opportunity for a few companies and the community. Having issues with updating asset performance management systems at the edge, GE discovered that containerizing updates with Docker may help. The growing complexity of software requires new architectural approaches to speed up development. 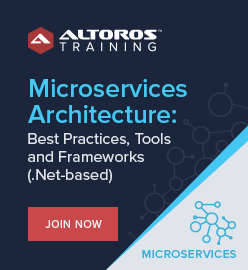 If you’re still not into microservices, read on. What are the requirements for continuous monitoring within an Industrial IoT deployment? What are the challenges and how to address them? Learn here. Geolocation, portability, connectivity, and the proliferation of mobile technologies can be put to advantage within the fourth era of industrial manufacturing. To eliminate the burdens of varying access permissions in an IoT deployment, a solution is needed to consolidate all the heterogeneous security policies. Learn how Digital Twins—the pairing of software with virtual models of physical assets—pave the way to more efficient and safer machines, devices, and plants. Omar Nawaz elaborates on five patterns when designing an efficient IoT process, providing tips and lessons learned. He also explains why a feature-by-feature comparison of IoT platforms is futile when planning your IoT deployment.